Read more about quail hunting in Nebraska this year. Congressional leaders from South Dakota and Minnesota are spearheading a bipartisan effort to include legislation in the 2018 farm bill designed to protect native prairie and grasslands by limiting federal subsidies for farmers who plow these areas for cropland. Sens. John Thune (R-S.D.) and Amy Klobuchar (D-Minn.) yesterday introduced S. 1913, titled the “American Prairie Conservation Act.” The “sodsaver” bill would create economic disincentives for farmers to plow native prairies and grasslands by closing a crop insurance yield substitution loophole in all 50 states. Sens. Mike Rounds (R-S.D.) and Michael Bennet (D-Colo.) co-sponsored the Senate version of the legislation. Also yesterday, Reps. Kristi Noem (R-S.D.) and Tim Walz (D-Minn.) introduced the House version of the bill, H.R. 3939. The Congressional Budget Office has estimated that implementation of the sodsaver legislation in all 50 states could save taxpayers more than $50 million over 10 years. Indeed, the legislation comes at a time when grasslands are disappearing rapidly across the Great Plains (Greenwire, Nov. 30, 2016). “Not only is this an example of a good-government solution, but the savings achieved by our bill could be used elsewhere in an already cash-strapped farm bill,” Thune said in a statement. Thune sponsored legislation that added a sodsaver provision to the 2008 farm bill. Thune and Klobuchar in the Senate, and Walz and Noem in the House, also sponsored legislation that added the sodsaver provision to the 2014 farm bill. But in each case, it only applied to prairies and grasslands in six states — South Dakota, North Dakota, Minnesota, Iowa, Montana and Nebraska. The legislation “has successfully reduced the conversion of native sod, saved taxpayer dollars and encouraged wildlife habitat” in those six states, Klobuchar said. A study led by researchers at the University of Wisconsin, Madison, found that the vast majority of new croplands — 5.7 million acres — plowed between 2008 and 2012 were grasslands (E&E News PM, April 2, 2015). What’s more, the study found that two-thirds of cropland conversion during this time period occurred outside the six states in which the 2008 and 2014 farm bills instituted the sodsaver provision. The legislation is strongly supported by conservation groups like the National Wildlife Federation. 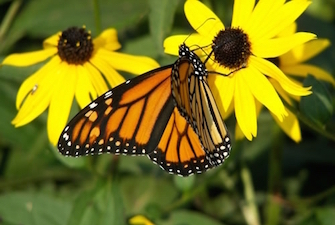 “America’s prairies provide essential habitat for ducks, pheasants, raptors, songbirds and pollinators — yet we’ve lost more than 90 percent of original prairie acreage to the plow,” said Collin O’Mara, NWF’s president and CEO. “This commonsense, bipartisan bill represents a concrete opportunity for this Congress to conserve one of America’s most iconic American landscapes and the wildlife species, ranching operations and sequestered soil carbon they support,” he added. Richmond, VA, October 2, 2017 – If you think cattle and quail don’t mix, a new concept in managed grazing may just change your mind. USDA’s Natural Resources Conservation Service (NRCS) is now accepting applications for a unique program that focuses on establishing productive warm season forages to improve cattle production AND provide large acreages of prime habitat for ground nesting birds and other wildlife. The Northern Bobwhite in Working Grasslands initiative offers technical and financial assistance to help eligible livestock producers implement various conservation practices to address habitat loss without taking their land out of production. Virginia will conduct targeted restoration activities throughout the state with a focus on the following counties: Augusta, Bland, Botetourt, Charlotte, Culpeper, Fauquier, Halifax, Madison, Orange, Pittsylvania, Rappahannock, Rockingham, and Wythe. Interested applicants are encouraged to sign up before October 20 to be eligible for fiscal year 2018 funding. Northern bobwhite quail are a state-identified target species for the Working Lands for Wildlife (WLFW) partnership, a collaborative approach to conserving habitat for declining species on farms and working forests. Our newest WLFW project is designed to help bring back the quail that were once an integral part of Virginia’s farming way of life. 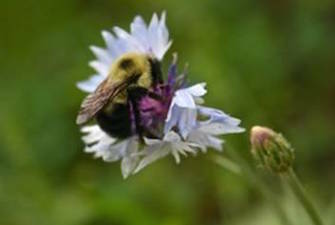 Leading researchers like Dr. Pat Keyser of the University of Tennessee’s Center for Native Grasslands Management have documented the wildlife benefits of managed grazing on native summer forages, concluding that this approach actually enhances the habitat for the ground nesting birds. NRCS accepts applications on a continuous basis but makes funding selections at specific times. If funds are not fully obligated under the first signup period, the next deadline will be January 19. 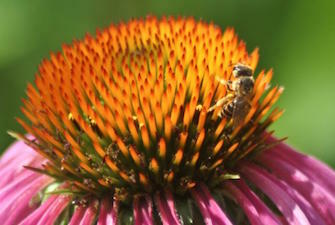 To learn more, please visit your local USDA service center or www.va.nrcs.usda.gov. 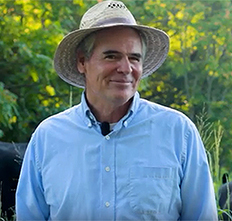 Watch our new video to learn why Culpeper producer Carl Stafford is such a big believer in this new approach to managed grazing. North America is filled with people who appreciate birds. 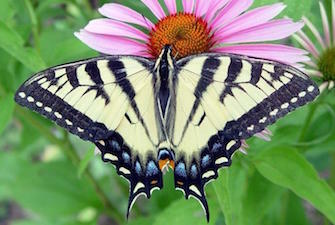 Many watch them, some hunt them for food and others just value their beauty and song. Wild birds of all types are a sign of a healthy ecosystem. That’s why it was so heartening to read in the just-released 2017 edition of the State of the Birds, produced yearly by the North American Bird Conservation Initiative, that populations of wetland birds, forest birds and grassland birds are on the upswing, and it is due to a large part to voluntary USDA programs like the Farm Service Agency’s Conservation Reserve Program (CRP). Take for example the prairie pothole region, which stretches from Iowa through the Dakotas and into Montana and Canada. Waterfowl enthusiasts call it “America’s duck factory.” According to the State of the Birds report, the number of waterfowl in the region has increased by 37 million in 20 years, and the annual economic impact from hunting and birdwatching is an estimated $430 million. That’s a real benefit to rural America and to the economic health of the people who live there. Substantial benefits are evident elsewhere. For example, in Illinois, farm counties with the highest CRP sign up rates, spring bird counts for Henslow’s sparrows are now 25 times greater than before the program was instituted, and the grasslands the sparrows depend on provide $900 million in flood control, groundwater recharge and water purification services. In nearby Wisconsin and Michigan, grassland plots within crop landscapes doubled the number of grassland birds, and in doing so, increased the rates of predation of insect pest eggs by 30 percent. To learn more about USDA programs that benefit wild birds, visit the Farm Service Agency website or your local FSA office. The Alabama Department of Conservation and Natural Resources (ADCNR) Wildlife and Freshwater Fisheries Division (WFF) and the U.S. Forest Service have partnered to expand and improve bobwhite quail habitat through the creation of a new Wildlife Management Area (WMA) in south Alabama. Approximately 7,000 acres within the Conecuh National Forest is now part of Boggy Hollow WMA in Covington County, Ala. The newly created WMA will be managed as a bobwhite quail focal area and will provide additional habitat for nongame species including gopher tortoise and red-cockaded woodpecker. Boggy Hollow WMA is located off State Route 137 just west of Wing, Ala. The WMA will be open to hunting this fall. In addition to an emphasis on quail habitat, Boggy Hollow will also provide exclusive small game and deer hunting opportunities during regular season dates. Thursdays and Fridays will be dedicated to squirrel, rabbit, raccoon and opossum hunting. Quail hunters will have dedicated hunting days on Wednesdays and Saturdays. Deer hunters will be given archery-only hunting days Sunday through Tuesday. Turkey hunting will also be permitted on Boggy Hollow, on regular season dates. “This format was developed to offer a broad spectrum of specific hunting opportunities, while still focusing on quail and small game,” said Bill Gray, WFF District IV Supervising Wildlife Biologist. To thrive, bobwhite quail need open grassland habitat with an extensive groundcover of forbs, native grasses and scattered brush thickets. U.S. quail populations have declined in areas where this habitat has become fragmented. Boggy Hollow WMA will be converted into bobwhite quail habitat through selective timber thinning and more frequent, smaller prescribed burns. These efforts will allow more sunlight to reach the ground and spur the growth of native grasses and forbs. While quail presently exist on the property, the new habitat management practices are expected to provide opportunity for a population increase. WFF is a participant in the National Bobwhite Conservation Initiative, a multi-state effort to restore bobwhite quail to America’s landscape. The creation of the Boggy Hollow WMA quail focal area is one piece in the national puzzle of bobwhite quail restoration. To learn more about bobwhite quail in Alabama visit, www.outdooralabama.com/northern-bobwhite. For more information about Boggy Hollow WMA, visit www.outdooralabama.com/wildlife-management-areas. (Washington, D.C., August 3, 2017) Thirty-seven million. That’s the increase in the number of waterfowl in the Prairie Pothole Region over the past quarter-century, thanks to the Farm Bill. The State of the Birds 2017: Farm Bill Special Report, released today by the North American Bird Conservation Initiative (NABCI), documents the many benefits the Farm Bill—America’s single largest source of conservation funding for private lands—has delivered to birds, farmers, and rural communities. For more than three decades, the Farm Bill has been an effective tool for wildlife conservation, sustaining essential habitat for more than 100 bird species. For farmers, ranchers, and forest owners, the bill provides a safety net that helps keep working lands from being developed. As the 2018 Farm Bill is debated for reauthorization in Congress, the report calls attention to the benefits of investing in conservation on private lands, which make up nearly 70 percent of the land area in the contiguous United States. It’s a striking record of success. Before 1990, for instance, wetland birds and waterfowl were on the decline, trending downward by 10 percent a year. Since wetland easements were added to the Farm Bill, those populations have soared 51 percent. Grasslands and forest birds have benefited as well. “There’s no doubt that the Farm Bill’s conservation provisions have helped to stabilize populations of grassland birds, which had suffered a nearly 50 percent drop before grassland easements were introduced in 2003,” said Kenneth V. Rosenberg of the Cornell Lab of Ornithology, the report team leader. “Since that time, we’ve seen an encouraging 3 percent increase in numbers.” The report documents a similar turnaround in forest bird populations, which had dropped 19 percent before the Farm Bill’s Forestry Title was introduced in 1990. State of the Birds is a regular report published by NABCI’s US Committee, a coalition of 28 state and federal agencies, nonprofit organizations, and bird-focused partnerships. Scientists, government agencies, and bird conservation groups use the State of the Birds as a resource in decision-making about conservation research, policies, and programs. Last year, NABCI’s State of North America’s Birds Report found that more than one-third of North America’s bird species require urgent conservation action. It keeps birds off the Endangered Species List. Voluntary, incentive-based habitat-restoration projects funded by the Farm Bill made it possible to avoid listing the Greater Sage-Grouse as endangered in 2015. 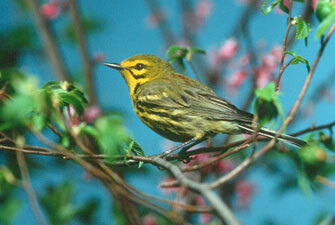 It promotes public-private partnerships and supports restoration vital to forest birds. In the South, Farm Bill Forestry programs have increased longleaf pine forests by 50 percent, providing valuable habitat and keeping forests from being converted to other uses. 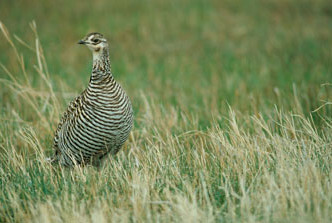 It protects vital prairie grasslands and wetlands and sustains North American waterfowl. In the Mississippi Alluvial Valley, 34 percent of all duck food energy comes from Farm Bill wetlands. It creates eco-benefits for the entire farm and delivers return on investment in clean water and birds. Farm Bill grasslands programs improve soil health and natural pest control, provide flood control and water purification, and recharge groundwater supplies. The U.S. Committee of the North American Bird Conservation Initiative (NABCI) is a coalition of 28 federal and state agencies, non-profit organizations, and bird-focused partnerships that advance biological, social, and scientific priorities for North American bird conservation. 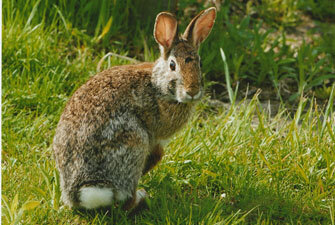 American Bird Conservancy is a member of NABCI. We’ve been waiting for the Arkansas Game and Fish Commission to do more than talk about quail restoration, and it looks like that time is coming. Over the last two years, the Commission has taken encouraging steps to prioritize upland bird habitat. The agency has reached out to prominent bird hunting enthusiasts like Judge Bill Wilson, former state supreme court justice Jack Holt and Arkansas Democrat-Gazette columnist Rex Nelson. It also has hired its first dedicated quail biologist, Marcus Asher. That’s all great, but so far the Commission’s efforts have been superficial. As is often the case in government, meetings and symbols substitute for progress. Apparently, real progress is coming. In his first meeting as Commission chairman, Steve Cook of Malvern directed the agency’s administrative staff to establish an upland bird stamp. If adopted, it will be an additional, elective cost to hunters similar to our state duck stamp or trout stamp. Read more about the upland bird hunting stamp proposal in Arkansas in the Arkansas Democrat-Gazette. In a handful of states, the annual surveys of bobwhite, pheasants, rabbits, and other game species provide valuable data for wildlife managers. Read the entire story in Audubon magazine here. PINELANDS – June 29, 2017 – The problem was evident and alarming: Populations of Northern Bobwhite quail had dropped 82 percent, from 1966 to 2010 across its national range, and in New Jersey it was considered functionally extinct. The loss of quality habitat, especially young forest, made it increasingly more difficult for the quail to nest. For the Northern Bobwhite to survive in southern New Jersey, New Jersey Audubon (NJA) and its partners joined in a progressive, three-year research project to bring in wild quail from Georgia, where there is a viable population. NJA is reintroducing the quail to restored habitat in the Pinelands, where the quail had virtually disappeared over the past four decades. 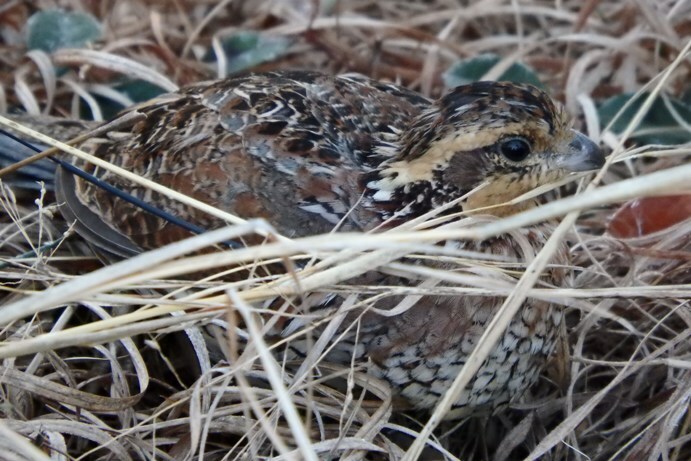 After a massive effort and coordination with state agencies and project collaborators, the first quail nest of 2017 was discovered by NJA’s researchers at the Pine Island Cranberry Study Site in Chatsworth, Burlington County. The nest, as well as three more discovered in June, marks the third consecutive year of successful breeding by the translocated birds; further evidence of a turning tide in New Jersey. A key partner in the project is the Haines family, which owns the largest cranberry farm in the state and has been harvesting cranberries since 1890. The family, operating under a forest stewardship plan for its 17,000 acres since 2001, is working with NJA on the project, marveling in the fact that quail are returning to land the family has cultivated for generations. As part of the project, the quail are captured in the wild in groups in Georgia and carefully transported to New Jersey. Each bird is fitted with its own radio collar and carefully tracked with radio telemetry. This allows NJA to quickly learn if they are thriving in the new habitat hundreds of miles north of where they were hatched. The first release was in April 2015, with the first quail nest discovered in New Jersey three months later – the first known nesting in the Pinelands since the 1980s. From the first release, researchers have discovered 66 eggs had hatched. There was a second release in April 2016, and a third release this spring. Researchers are eager to discover which quail are collared and which aren’t – signaling the return of naturally-born quail in New Jersey. Dozens of nests have been found on the study site since the project began. Aside from Pine Island Cranberry Company, key partners in the project include the University of Delaware, Pine Creek Forestry, New Jersey Division of Fish and Wildlife and Tall Timbers Research Station and Land Conservancy in Tallahassee, FL, which focuses on the study and preservation of the Bobwhite quail. Long-term quail translocation research is a hallmark of Tall Timbers. “We are working to create permanence with Northern Bobwhite in New Jersey,” said John Parke, Stewardship Project Director – North Region, NJA. “In reviewing the data collected over the last few years and seeing these wild birds adapt to their new surroundings is a testament to how important active management is to maintain forest health and wildlife diversity,” Parke said. “The Northern Bobwhite Restoration Initiative has implications for quail recovery in the Mid-Atlantic, is providing information on other species that use these same managed forest habitat, and is motivating others to implement forest management. “We are excited by the progress of the project and eager to see quail back in New Jersey,” he added. When former Gov. Mike Beebe announced his new appointment to the Arkansas Game and Fish Commission seven years ago, Fred Brown of Corning seemed an odd fit. He was a mismatch, but he was the man that Beebe needed to reorient a commission that had lost its way. Bad news spewed from the agency like lava from a volcano and embarrassed Beebe with maddening regularity. Two wildlife officers were caught hunting out of state without hunting licenses. Two others hunted with firearms that had been confiscated from violators as evidence. The agency had overstocked its vehicle fleet, and an abnormally large number of salaried employees were furnished cars for personal use.